If there’s just one bag you can only buy from Gucci this year (but hey, let’s be honest, that’s also near impossible of late), this would most definitely be it. Calling it the Gucci X Globe-Trotter GG Supreme Monogram Small Trunk for now because there’s no official name yet, this is in many ways as perfect as it gets as far as collaborations go. 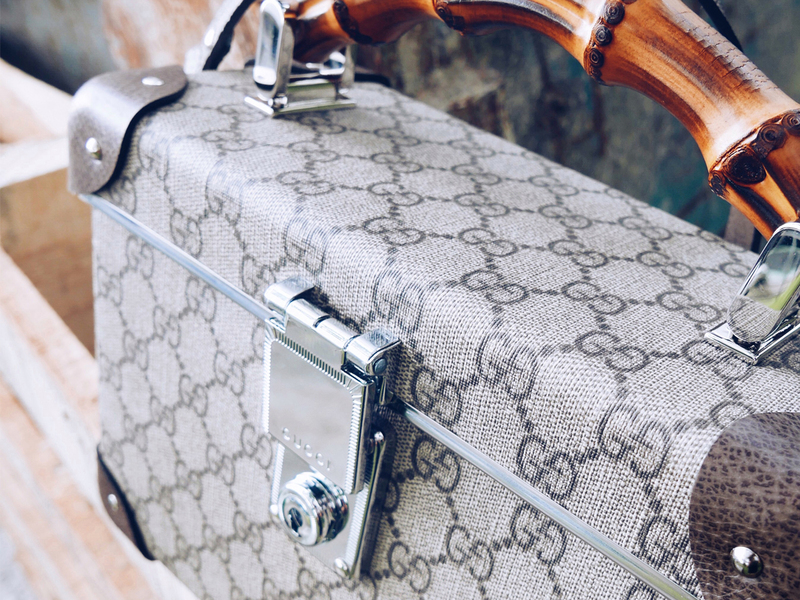 Equal parts Gucci and Globe-Trotter, there’s the iconic bamboo handle and the GG Supreme Monogram-coated exterior from the former sitting beautifully on the hard-sided trunk body, finished with the clasp lock from the latter. And despite its rather petite size (we’re talking around 24 cm across by 16 cm in height), this baby can still pack in lots, so much more than that other hard-sided bag from that French luxury house. But let’s be fair, that’s a clutch, while this is a bag, so the size is naturally much bigger. Finished with a long enough shoulder sling that will allow you to wear this across the body or over the shoulder (or just dump the sling and carry it by its solid top handle), you could do so much more with this. Bring it onto the plane as a makeup trunk? Can. Use it when you’re out and about in the city while shopping? Also can. Use it to store your gold bars while it sits beautifully on your shelf? Sure can. Really, there’s nothing you can’t do with this, and despite the weight, it is still a wonderful bag to have and to hold. 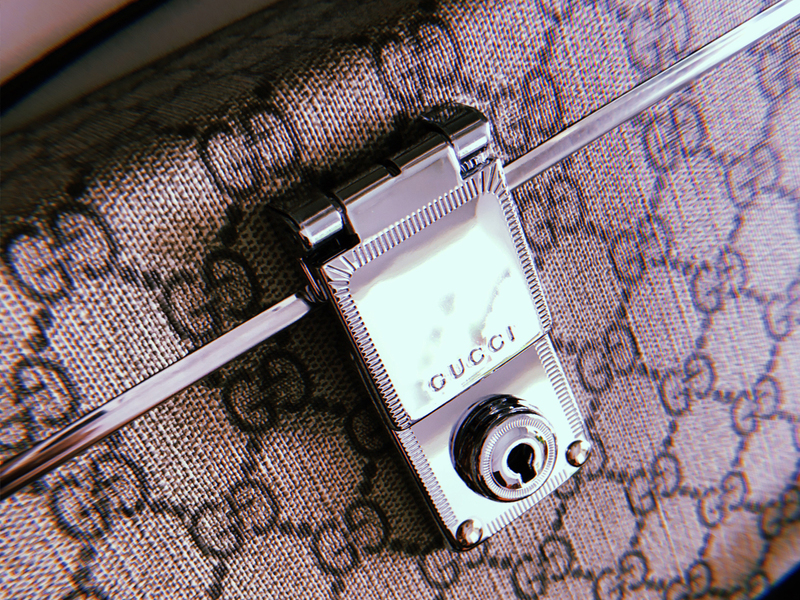 To be released as part of Gucci’s Fall-Winter 2018 collection in the months to come, this bag isn’t available just yet, but don’t let that stop you from heading down and putting yourself on the wait list. If you can, just pay in full and lock your order down, because at just SGD2760, many others will want it as well. Including me.